Cons - Some may find its notes a bit thin than usual. 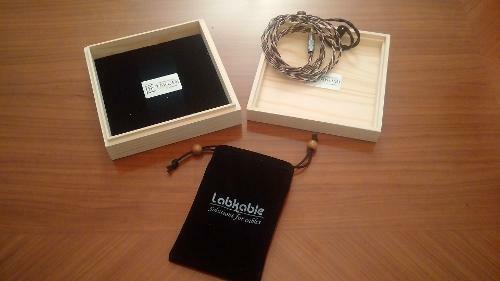 Labkable is a Hong Kong based cable maker, which has pretty wide product range. They sell some famous brands’ products such as Neotech, Mundorf and Oyaide as well as some modification parts for amplifiers. In fact, I was really impressed when I looked at their product line, rich and useful selection. Also, I think DIY’ers would love these guys, since there are a lot of DIY parts and accessories. Labkable seems like a grocery store of cable world. When I contacted with Labkable, I got a pretty fast reply from them. Edmond, their representative was pretty responsive with a very well English. 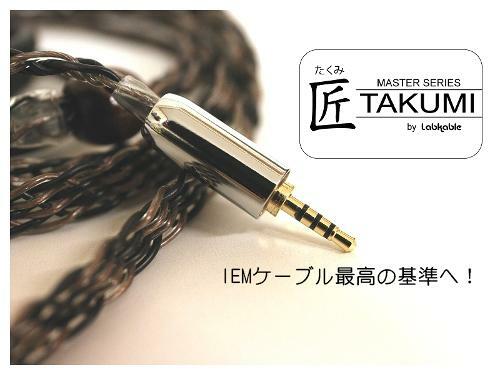 We talked about IEM cables and decided on Takumi IEM cable from Master Series line. 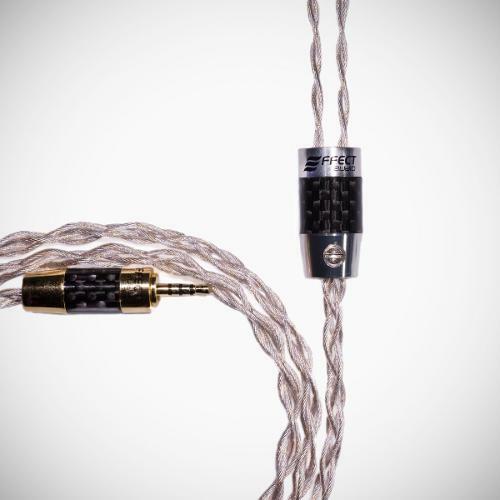 The reviewed Takumi cable is a mid-priced cable from Labkable range. Their most expensive and interesting cable is Pandora. While Takumi has 8 braids in a hybrid design, Pandora utilizes 10 wires. Pandora is described with its high-resolution musical experience and it is priced at 1250 USD. Besides these two cables, Labkable offers Shadow series, Silvernova series, Pro series and Kophone series as aftermarket upgrade cables. 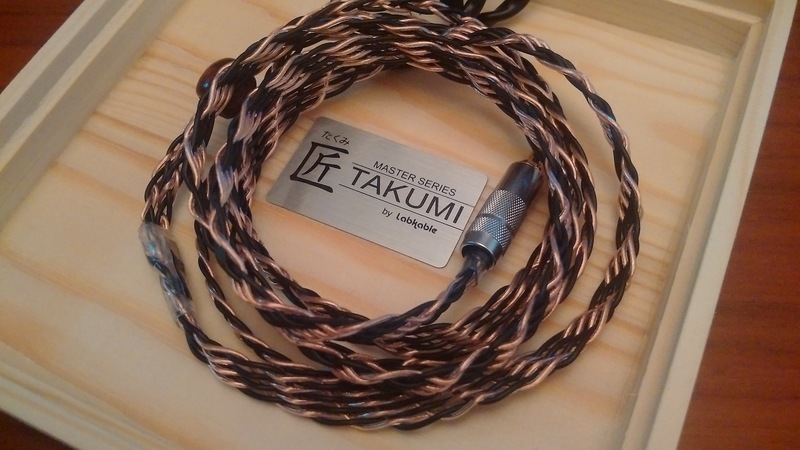 Master Series Takumi cable utilizes 8 wires and a combination of silver gold, silver plated copper and copper conductors. As we may guess, it is a hybrid cable, but there are three different types of conductor. The built quality of Takumi is very good; sleeving material has a strong quality and knitting of 8 wires looks very promising. 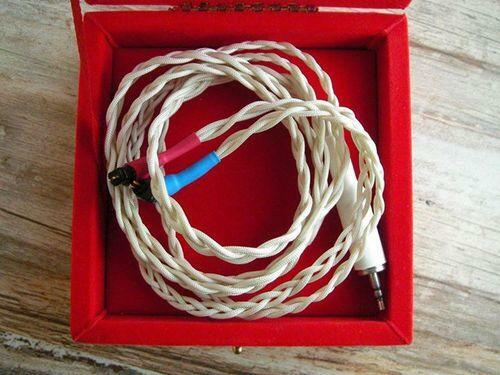 It is neither too thin nor too thick, but wrapping is easy enough to put it into the small carrying case that comes with the cable as a standard accessory. However, I have to say that Takumi may create a bit microphonic effect and outdoor usage may be a little difficult. The reviewed Takumi cable has high quality memory wire, but some may find it a bit rough and it may make a pressure to head, behind the ear. During my experience, I haven’t gotten this kind of disturbance from the memory wire. In addition, it looks very strong and durable when compared to other aftermarket cables’ memory wire. To make suitable for my usage on all my custom in ear monitors, Takumi in my hands has 2 pin industry standard pins for recessed sockets. 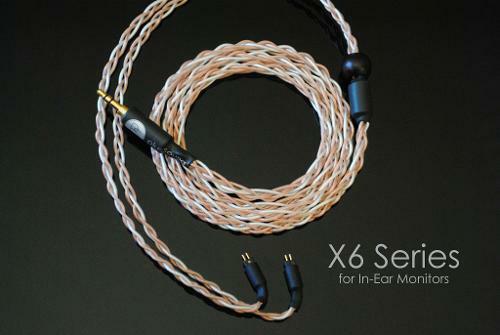 In addition, Labkable offers 4 pin JH Audio, FitEar, MMCX and Ultimate Ears-type connectors. The reviewed cable has a beautiful wooden Y slider and Oyaide type 3.5 mm TRS plug. 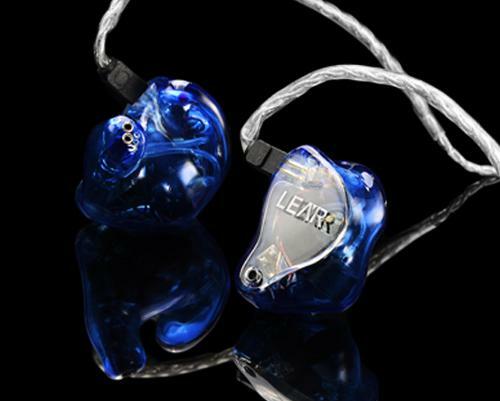 As far as I know, Labkable offers a wide variety of plugs such as popular Viablue and balanced plugs for AK series. As accessories, a soft carrying case comes with in the wooden package. The aforementioned wood case is worth to see. Only a few manufacturers offer this kind of premium outer package. Very impressed honestly. Labkable Takumi cable is transparent, resolved and airy sounding unit. There is slight warmness here, but less warm compared to stock cable in accordance with its mid-bass presentation. In this review, M-Fidelity SA-43 and its stock cable is utilized. The source is Lotoo Paw Gold. The stock cable has slightly more quantity in low frequency region, but the stock sounds messy in sub-bass region, while Takumi is more controlled and tighter. The area of impact of sub-bass is slightly bigger on the stock, but Takumi has better sense of detail articulation and notes are clearer. The mid-bass presentation is different on both in terms of tone and quantity. Takumi has more controlled and less warm notes, while the stock is closer to have an emotional perspective. Due to warmer notes, the stock fills in the space between instruments with warmer air and that reduces airiness compared to Takumi. Even if Takumi has a little airier and also slightly more alive sound, it carries the naturalness of instruments when plugged into SA-43. Average note thickness becomes a little thinner compared to the stock, but clarity and resolution of Takumi betters the stock by a large margin. Overall mid-range placement on the stage is similar, but Takumi gives a significant amount of depth to the presentation as well as longer and clearer distances between instruments and this ability creates a lot better layering in mid section. 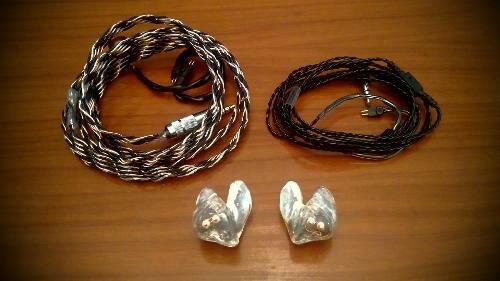 Takumi adds a little open tone to upper mids, but it still sounds non-piercing. Both have bodied vocals, Takumi performs with more 3D and transparency. However, Takumi tends more to create sibilance in accordance with more open tone in comparison. Takumi offers slightly more presence in treble region. 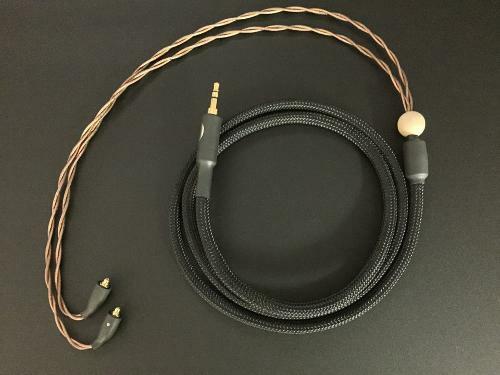 The stock cable sounds less detailed in comparisons, but Takumi’s open and slightly brighter tone may be problematic with already too bright earphones. Actually, the brighter tone is not the correct word, but it is closer to have ‘’bright’’ adjective rather than open tone in treble region. On the other hand, Takumi betters the stock in terms of both detail articulation, extension and resolution. Takumi betters the stock in soundstage comparison; Takumi has slightly wider stage, but has deeper one by a large margin. The distance between instruments is longer and clearer with a more neutral air in accordance with mid-bass presentation and presence. The aforementioned stage depth difference between two cables gives an imaging advantage to Takumi. It is worth to hear the imaging that is created by Takumi as well as more three-dimensional instrument definition. Takumi offers significantly better instrument separation in accordance with its depth and creation of distance between instruments. However, background blackness is similar and Takumi can’t create definite superiority in this area over the stock. 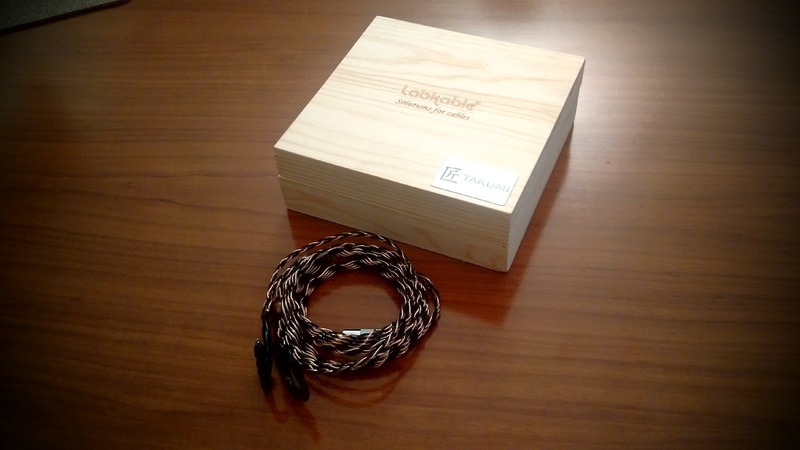 Labkable Takumi cable is not a cheap aftermarket cable. However, there is a significant improvement over stock cable in terms of midrange resolution, imaging, separation and stage depth. Its overall tone and low frequency performance is not the best, but still natural and satisfying. Even if Takumi is not very suitable for outdoor using due to its micro phonic effect and weight, its build quality and looking is quite impressive. I would definitely recommend Takumi to who needs to add some openness to tone and create more alive presentation. Nice and impressive aftermarket cable. Great review, you are a guru when it comes to technical sound analysis! Thank you buddy, I appreciate that.